Camino Real Sumiya is a luxury 5* family friendly resort located in Cuernavaca, Mexico. It features 163 rooms and swimming pools. This majestic residence in Cuernavaca once belonged to Barbara Hutton Woolworth. It took six years to build, completed in 1959 after the detailed search for a place with the ideal climate, magnetism and historic roots. Sumiya means "place of peace, tranquility and longevity", words that perfectly describe the atmosphere of this impressive palace whose symbol is a lotus flower with swords to represent wisdom and love. 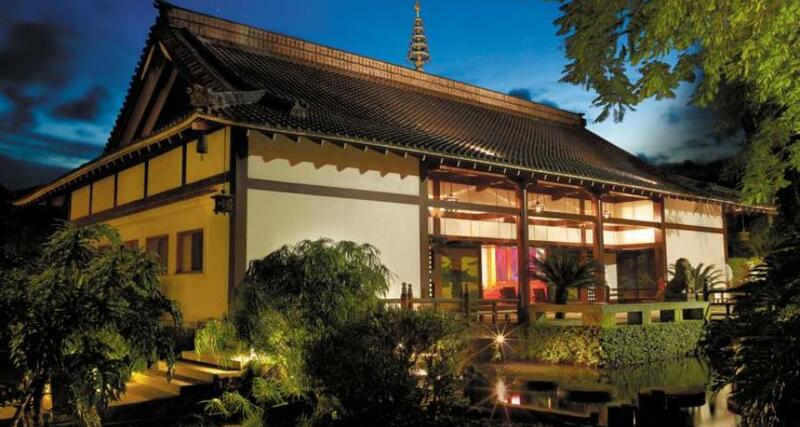 The design of the Camino Real Sumiya is truly Asian, with pagodas and characteristics like mahogany, granite-tile roofs to keep the property cool, and of course walkways taking you through traditional Japanese gardens. If you're a member of the Circulo Real program, earn points during your stay when eating at the hotel restaurants. Don't forget your card.